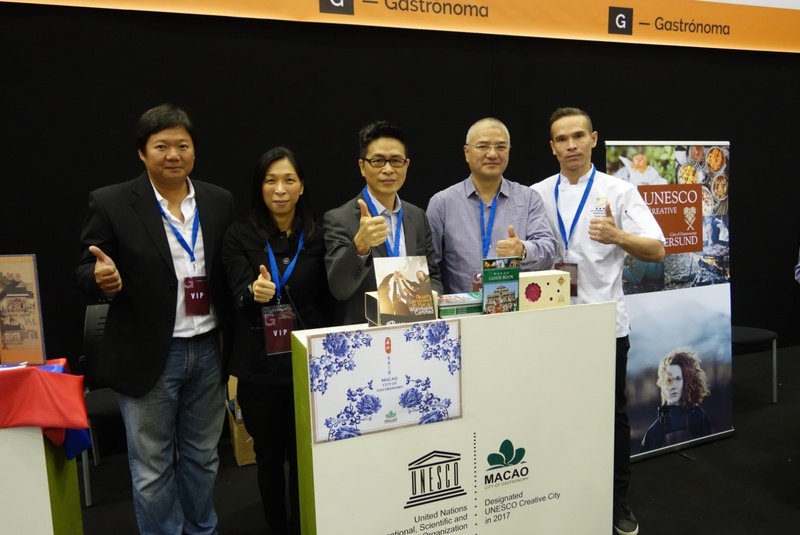 Macao Government Tourism Office (MGTO) joined hands once again with the Institute for Tourism Studies (IFT) this time to participate in a gastronomy exhibition held this week in València, Spain, to promote Macao’s gastronomic culture together with other UNESCO Creative Cities of Gastronomy linked to the Silk Road. At the invitation of València Autonomous Region Tourism Board, MGTO Deputy Director, Cheng Wai Tong, along with MGTO Head of Training and Quality Management Department, Doris Leong, Food and Beverage Executive Assistant Manager of IFT, David Wong, and Food and Beverage Chef de Cuisine of IFT, Hans Lee Rasmussen, attended the gastronomy exhibition ‘Gastrónoma 2018’ held in València, November 11 to 13. 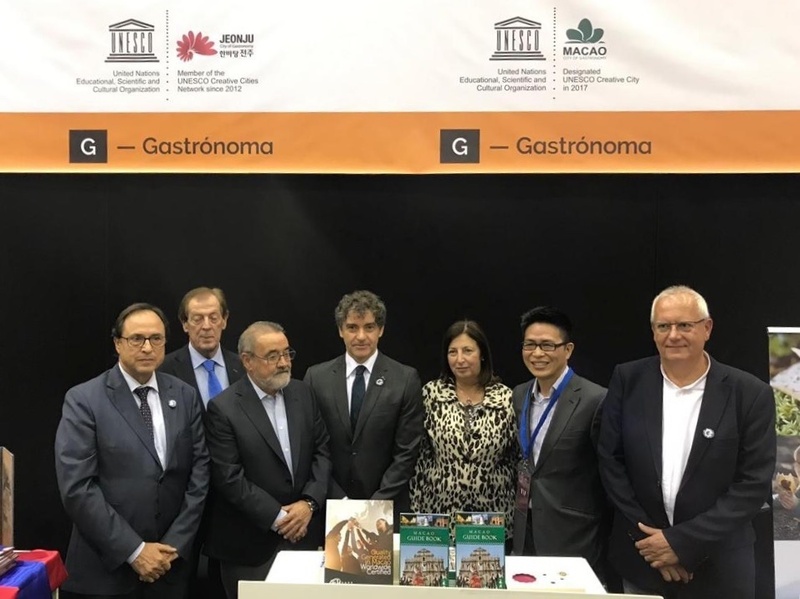 Macao and other UNESCO Creative Cities of Gastronomy showcased their gastronomy, culture and tourism at the Silk Road Stage, a themed area set up as one of the new highlights of this year’s exhibition. In a display of València’s rich historical relation with the Silk Road at the region’s major gastronomy event, the new themed area aimed to provide a platform for promotion and exchange featuring UNESCO Creative Cities of Gastronomy related to the Silk Road. The invited cities were those involved in the research project ‘History of food culture based relations on the Silk Road’, which is being developed among a number of member cities of the UNESCO Creative Cities Network in the field of gastronomy, including Macao. MGTO and IFT promoted the city’s gastronomy, distributed tourism information, almond cookies and more at the individual booth set up at the Silk Road Stage. The high point of the promotion were two cooking demonstration and tasting sessions of Macanese cuisine, conducted by the two Macao chefs, David Wong and Hans Lee Rasmussen, who prepared minchi, presenting to the public the ingredients, cooking skills and cultural background of the city’s unique east-meets-west cuisine. Other participating Creative Cities of Gastronomy at the Silk Road Stage included Shunde (China), Jeonju (Korea), Dénia (Spain), Östersund (Sweden), Tsuruoka (Japan) and Hatay (Turkey). The multilateral research project, ‘History of food culture based relations on the Silk Road’, initiated by Gaziantep (Turkey), involves a total of nine Creative Cities of Gastronomy, and is dedicated to study and disseminate knowledge about the gastronomy history and culture in the Creative Cities of Gastronomy located along the Silk Road. 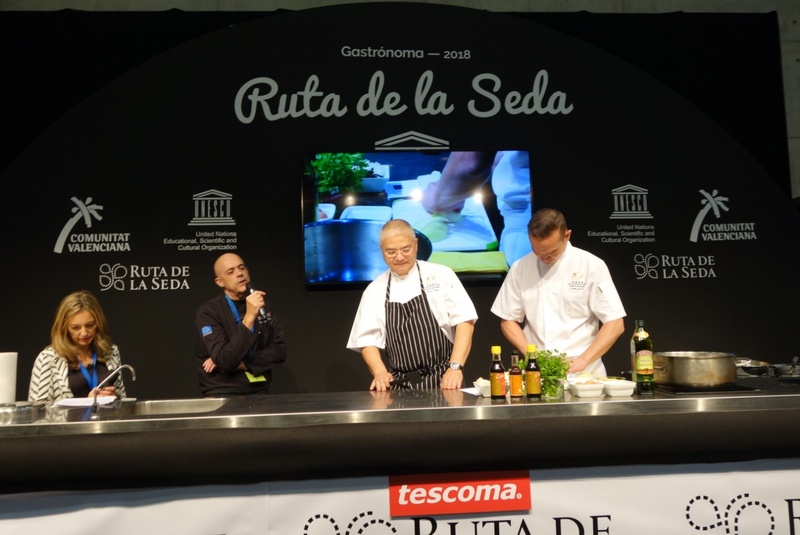 ‘Gastrónoma’ is a gastronomical exhibition held annually in València, featuring well-known chefs, along with food producers, distributors, retailers and artisans to position the València region at the forefront of the gastronomical culture. The event includes cooking shows, tastings, workshops, debates and other activities targeting gastronomy related professionals and a gourmet audience.